It's been a while again since my last post, but I'm still here. As a matter of fact we just got back this morning from a short break at the seaside. Summer vacation started exactly two weeks ago and we've been extremely busy. I even missed my beach bag tutorial going live on Design*Sponge! Yes, you read that correctly - Design*Sponge! It surely made my day! And if you're still planning on making one too, make sure to check out the article as there are more step-by-step pictures on D*S than in the original post. And here's yet another tutorial - after more than two weeks spent without having touched any fabric, needle and thread, or doing anything creative, I could no longer resist! Inspiration, was the lovely leather flower brooch I got myself during the sales here in Paris. 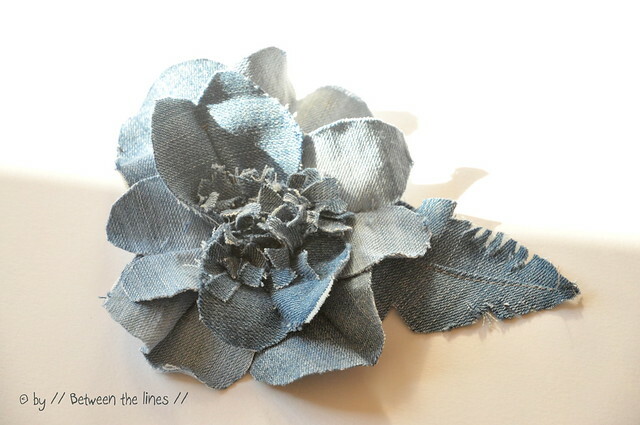 It got me thinking and I came up with a denim flower, made from old jeans (which had been cut to pieces anyway for other projects). It's a very simple but rewarding craft. A kid could do it - it could make a nice craft for a rainy afternoon, actually. Find the step-by-step instructions in the photo-collage below. 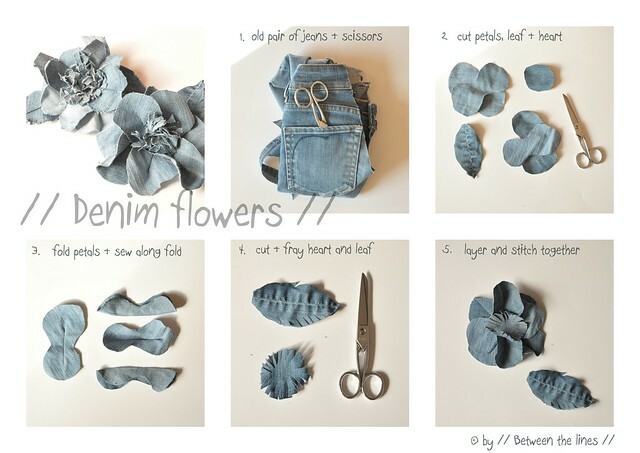 Sew a pin at the back and use the flowers to spruce up a plain shirt or jacket. Or how about making a bunch and sewing them on a tote or pillow. The possibilities are endless and really, all it takes is 15 minutes. 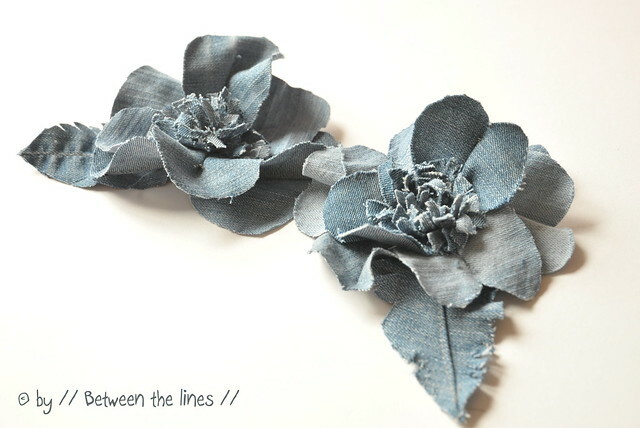 To have slight color variances between petal layers, I used pieces of fabric from two different pair of jeans. The flower petals are cut 'free-style' which adds to the charm of the flower. For an even more frayed look, I suggest to throw the finished flower in the washing machine and dryer. Give it a try, you can't go wrong on this one! Have fun! !